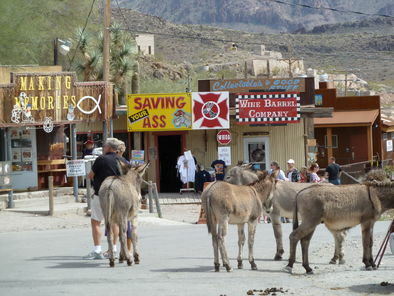 Oatman, Arizona, bills itself as a throwback to the Old West, a “living ghost town”. 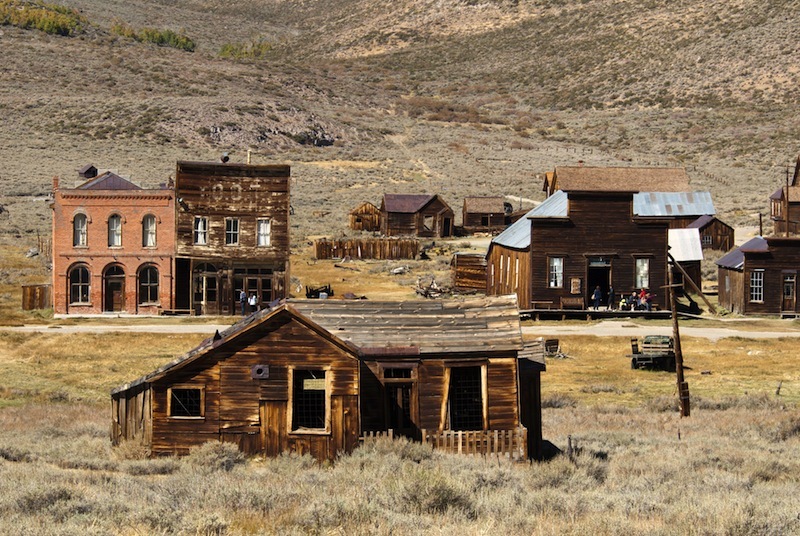 It’s an authentic western ghost town and mining camp located on the longest stretch, 167 continuous miles, of Historic Route 66. Complete with historic buildings, museums and unique gift shops nestled into the surrounding scenic towering mountains. 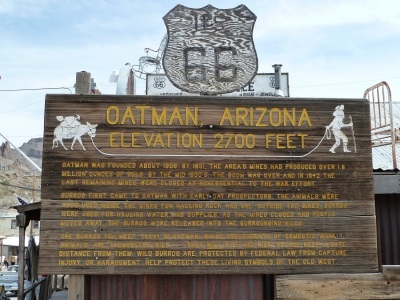 Oatman is tiny, maybe 150 yards of weathered, ill-favored buildings perched along the one road that you drove in on. Though Oatman is only a shadow of its former self, it is well worth a visit to this lively “ghost town” with the sights of burros walking the streets, as well as costumed gunfighters and 1890s style ladies strolling. Gold was first discovered in Oatman in 1902 by a man named Ben Taddock.